STUNNINGLY AMAZING HOME!! NEW ROOF, NEW A/C COMPLETELY REMODELED!! LOCATED IN DESIREABLE CINNAMON RIDGE.... PERFECT HOME! BANKRUPCY ESTATE SHORT SALE - 4.74 ACRES - PROPERTY IS SUPERBLY LOCATED OFF SILVER PALM DR. (232 ST) AND 217 AVE. BEING SOLD FOR LAND VALUE. PLEASE DO ATTEMPT TO ENTER THE BUILDING IN THE PROPERTY WITHOUT LISTING AGENT. PROPERTY BADLY DAMAGED. REPAIR OR KNOCK DOWN OR BUILD NEW. GREAT FARMING LAND ON TRANSPORTATION CORRIDOR WITH GREAT INCOME POTENTIAL. NEAR MJD AIRPORT (22361 SW 232nd St). REQUIRES BANK APPROVAL AND COURT APPROVAL. Absolutely Beautiful 4/3/1 Single Family home in Homestead Malibu Bay. Estates of Mendicino. Fully updated from top to bottom. New granite counter tops and kitchen cabinets. Wood floors and tile throughout. Stainless steel appliances including microwave. Front loader washer/dryer included. Smart home with NEST and security cameras. Beautiful deck with gazebo in the back for family fun. Garage converted for the family movie nights. This is a must see. Call Ian Welch today for a showing. 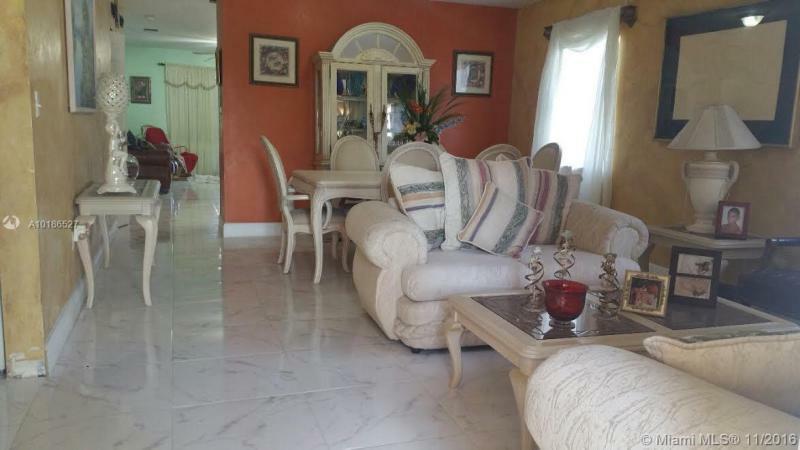 Very nice home close to both counties Broward and Miami Dade. HUGE lot, New Construction!! Seller is very motivated to sell. A MUST see this 3/2 remodeled. Commissions split 50/50.